Many businesses are being forced to rethink the way they deliver with unpredictable fuel costs, pressure to reduce emissions and rising levels of congestion having a significant impact. Many forward-thinking businesses are turning to a two-wheeled solution. Where two-wheelers were previously only seen as a viable delivery option for small items like takeaways, documents and medication, Vespa is changing the game. Savino Del Bene, a local logistics company, has embraced a two-wheeled delivery solution for increased productivity. In the past, Savino Del Bene used a bakkie to deliver tyres to key clients – a bakkie that was frequently delayed by congestion – resulting in late deliveries and unhappy clients. When Vespa approached Savino Del Bene to offer an innovative delivery solution, the logistics company jokingly said that if a Vespa could carry four tyres, they’d invest in a whole fleet. Vespa took on the challenge and designed bespoke brackets with unique safety locks which allow four tyres to be transported on a Vespa at a time. Savino Del Bene immediately started delivering with three Vespas – and their fleet size is growing. Travelling distance, unique loads and frequency of deliveries are all taken into consideration when choosing the best Vespa for the job. For most corporate fleets, a Primavera 150 3V or a GTS300 Super are the most suitable models. “Delivery Vespas can also be fitted with Geotab tracking system devices, so managers can keep track of their fleets, wherever they go,” adds McCallum. The Vespa corporate offering also includes branding opportunities. This turns the fleet into mobile billboards, increasing visibility for the brand. 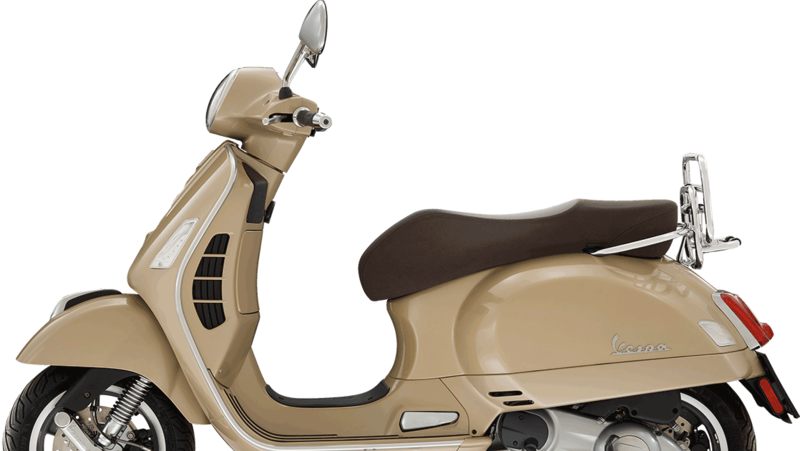 “Vespa also helps first time riders obtain their learner’s licence and offer free rider training. Some people get the hang of two wheels in two days, while others will need more time. Every client is different, and we’re happy to advise on an effective training programme,” says McCallum, adding that if clients don’t want to train staff, Vespa can refer them to an agency to hire licensed riders. Article originally published on Bizcommunity.